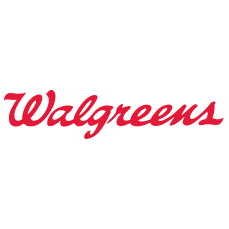 The new Walgreens May Coupon Booklet is available in stores now! These coupons are valid through 6/1/13, and because they’re Walgreens store coupons, they can be stacked with manufacturer’s coupons. Previous Post: « Weight Watchers Magazine for only $4.49 per Year! Great site you’ve got here.. It’s difficult to find high-quality writing like yours nowadays. I really appreciate people like you! Take care!! Wow, that’s what I was searching for, what a information! existing here at this webpage, thanks admin of this site. Fantastic blog! Do you have any recommendations for aspiring writers? I’m hoping to start my own blog soon but I’m a little lost on everything. Would you propose starting with a free platform like WordPress or go for a paid option? There are so many options out there that I’m completely confused .. Any suggestions? Bless you! I like the helpful info you supply on your articles. I will bookmark your blog and check again right here regularly. I am moderately certain I will be informed many new stuff proper right here! Best of luck for the following! Asking questions are genuinely fastidious thing if you are not understanding anything totally, but this article presents fastidious understanding yet. There is certainly a great deal to find out about this subject. I like all the points you have made. Nice post. I learn something new and challenging on sites I stumbleupon every day. It’s always interesting to read content from other authors and practice something from other web sites.